While the Clinton-Trump debate features two candidates who express strong support for the ongoing “war on terror,” delivery of a petition to the Pentagon on the same day presents a markedly different approach — calling for closure of the Air Force’s overseas hub for U.S. warfare in many countries. The petition, which focuses on the key Ramstein Air Base in southwestern Germany and was signed by more than 20,000 people, will also be presented to the German government in Berlin. While U.S. activists will present the petition at the Pentagon, it will also be presented in Berlin by German activists along with two American veterans of the “war on terror.” They are Cian Westmoreland, a former Air Force technician who worked on the drone program in Afghanistan, and Matthew Hoh, a former Marine who was an officer in Iraq and became the highest-ranking State Department official to resign in protest of the U.S. war in Afghanistan. 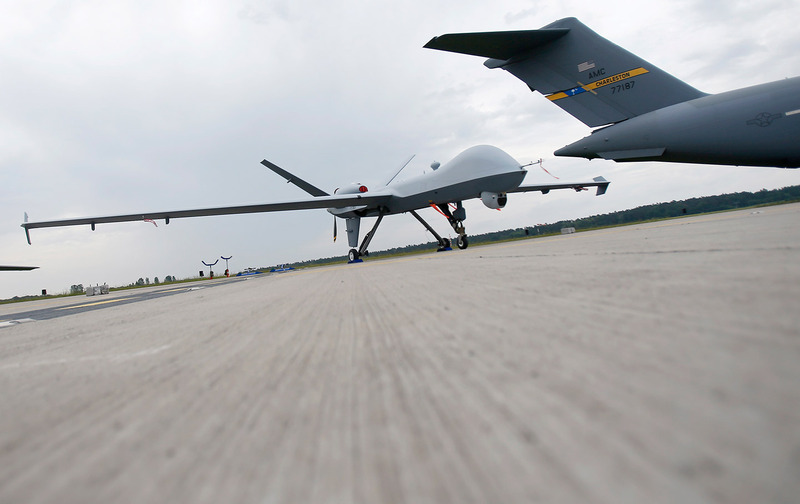 In addition to the Ramstein base’s crucial role in the U.S. global drone program, “Ramstein is also central to many other military aspects of the ‘war on terror’ that continues to have such profoundly negative consequences in many nations,” the petition notes. The petition includes thousands of individual comments written by signers from all over the world. The comments are posted online. Initiated by RootsAction.org, the petition’s partners include 20 other organizations, which are listed on the petition’s webpage. Solomon is co-founder of RootsAction.org and executive director of the Institute for Public Accuracy. He wrote “The Most Important U.S. Air Force Base You’ve Never Heard Of” for The Nation. His books include War Made Easy.